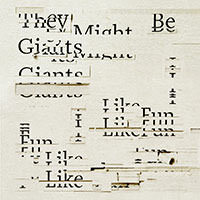 Anna sähköpostiosoitteesi: They Might Be Giants liittyviä uutisia ja päivityksiä. 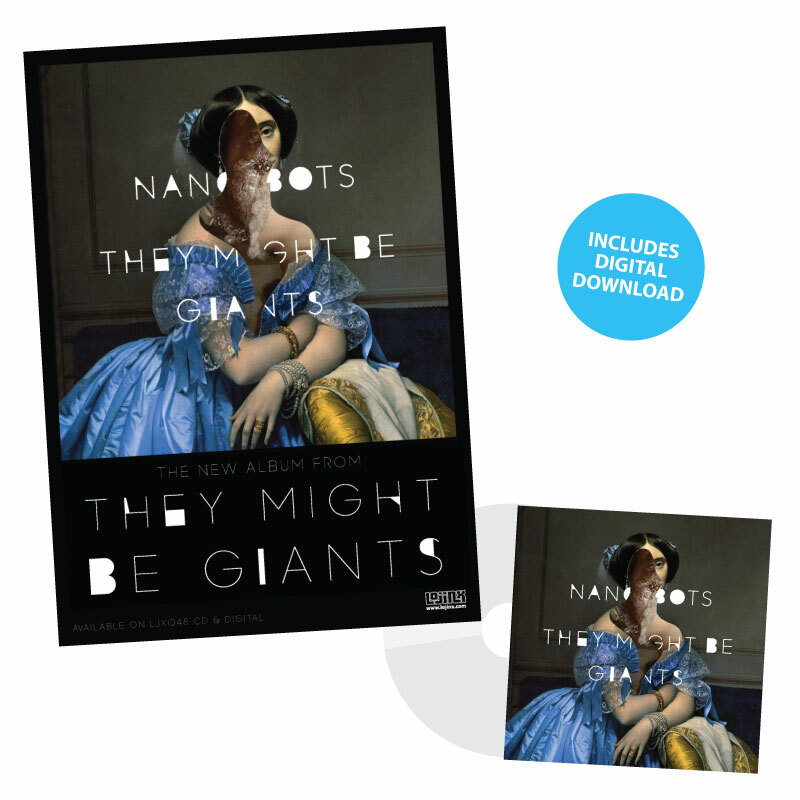 Gatefold softpack CD + digital download of They Might Be Giants "Nanobots" album. Your choice of high quality mp3 or uncompressed WAV or AIFF files. 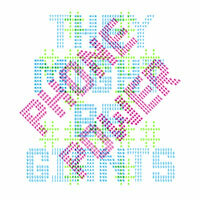 Digital download of They Might Be Giants "Nanobots" album. Your choice of high quality mp3 or uncompressed WAV or AIFF files. 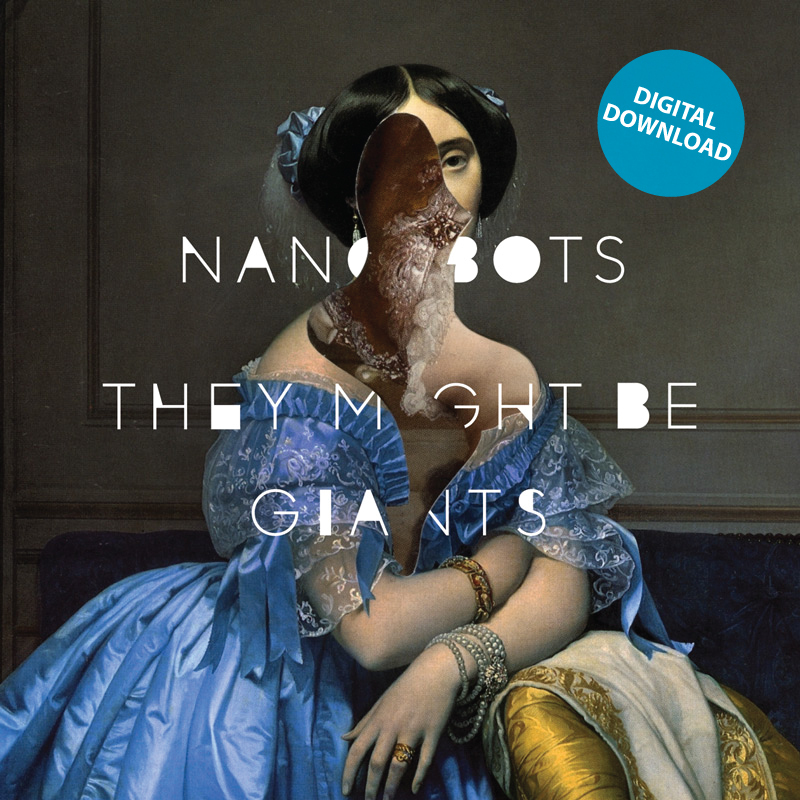 Gatefold softpack CD + digital download of They Might Be Giants "Nanobots" album. Your choice of high quality mp3 or uncompressed WAV or AIFF files. Also includes an A2 poster. 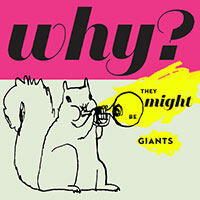 Gatefold softpack CD + digital download of They Might Be Giants "Nanobots" album. Your choice of high quality mp3 or uncompressed WAV or AIFF files. Also includes an A2 poster, a sticker and two badges! 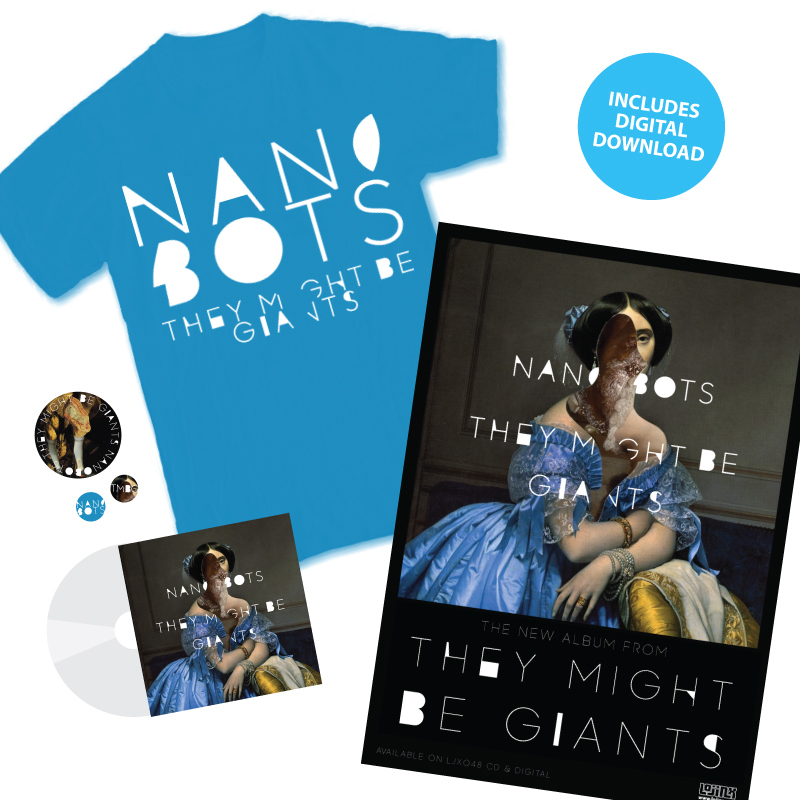 Shirt sizes: S - 34/36", M - 38/40", L - 42/44", XL - 46/48", XXL - 50/52"
Gatefold softpack CD + digital download of They Might Be Giants "Nanobots" album. Your choice of high quality mp3 or uncompressed WAV or AIFF files. Also includes a sticker and two badges! There aren't a lot of bands who can open an album with the line "Hi, Your head is on fire" and have it sound not only cool, but for the said lyric to be one of the album's less ostentatious declarations. With Nanobots - They Might Be Giants' 16th studio album - the band offers up a musical landscape of black ops, microscopic robots, insect hospitals, and karate chops - as well as a sprinkling of mini-ruminations clocking in at well under the one-minute mark. For a group that has made a career out of crafting unforgettable melodies while deftly illuminating the odd, Nanobots is a remarkable achievement - 25 tracks that zig and zag in a myriad of new directions including the very adult topics of melancholy and alienation, while showcasing the band's expert musicianship and undeniable skill at crafting perfect pop productions. Formed in 1982, They Might Be Giants are themselves giants of a sort in the pantheon of alternative-indie-college rock (or whatever you wanna call it). Emerging out of NYC's East Village performance scene with a singular take on art-pop, the dynamic duo of John Flansburgh and John Linnell would break big at the dawn of the 1990's with their platinum LP Flood, one of the most beloved "alternative rock" albums of all time. In the following years the band would go on to dip their creative toes in a variety of different pools - not only releasing a slew of excellent albums, but also making music for television and films, snagging a couple of Grammy awards, and serving as the subject for an acclaimed documentary about their career (Gigantic: A Tale of Two Johns). Over the course of three decades they've also managed to engender a coterie of intensely devoted (some might even say obsessive) fans who are prone to following the band around Grateful Dead-style whenever They Might Be Giants hits the road. It's certainly a great track record for any band…particularly for one more well-known for accordion heroics than guitars and whose most classic songs involve birdhouses and ancient cities. So, when you are already 15 albums deep into a career that spans over thirty years, what do you do next? If you are They Might Be Giants, you simply do what you've always done - you gather your friends in NYC (in this case producer Pat Dillett and regular They Might Be Giants cohorts Stan Harrison, Jon Graboff, Jedediah Parish, and Chris Thompson) and follow your creative impulses wherever they happen to lead you. 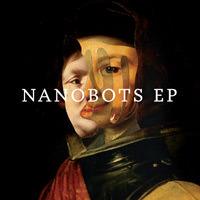 In the case of Nanobots, the resulting album is a collection of skewed narratives that present a kind of through-line to the band's earliest work - herky jerky pop songs sprinkled among a variety of truncated mini songs, all of them begging to be sung along to. "There is a thread that runs along everything we've ever done," says John Linnell. "We're always trying to do new things - new styles, experimenting with things that are pretty/ugly or kind of atrocious sounding or purely weird - but we also love pop songs. Despite how we may try to change things up, I think we're still trying to meet the same kinds of criteria ultimately. We are still, in the end, trying to make songs that we want to hear." "When you enter a studio to make your 16th record, you might assume the stakes couldn't be any lower," jokes John Flansburgh, "But we really approached this project with a level of intensity and focus that rivals anything else we've ever done. I think the sonics and musicality of what we've been doing for the past couple of years are actually quite evolved from where we started, but at the same time we really pared things back. 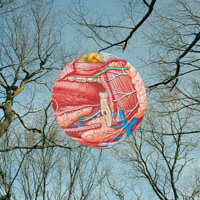 We tried to come at this record with a lot of restraint, to see how minimal we could be with the song arrangements. That was really our challenge this time around. Some of the songs are crazy sparse. It's kind of amazing to me that it took us sixteen albums to get around to trying some of these ideas. It's also reassuring to know that you can make music for this long and still uncover these new ideas. There are definitely points in Nanobots that feel like a new direction for us." So, what then is a Nanobot? According to reliable Internet sources, a nanobot is "a hypothetical, very small, self-propelled machine, esp. one that has some degree of autonomy and can reproduce." Given the microscopic nature of songs like "Tick," "Hive Mind," and "Didn't Kill Me," it's easy to see how the idea of the tiny creation with the capacity to accomplish big things might serve as a guiding principle for the entire record, so much of which is built upon a kind of purposeful brevity. 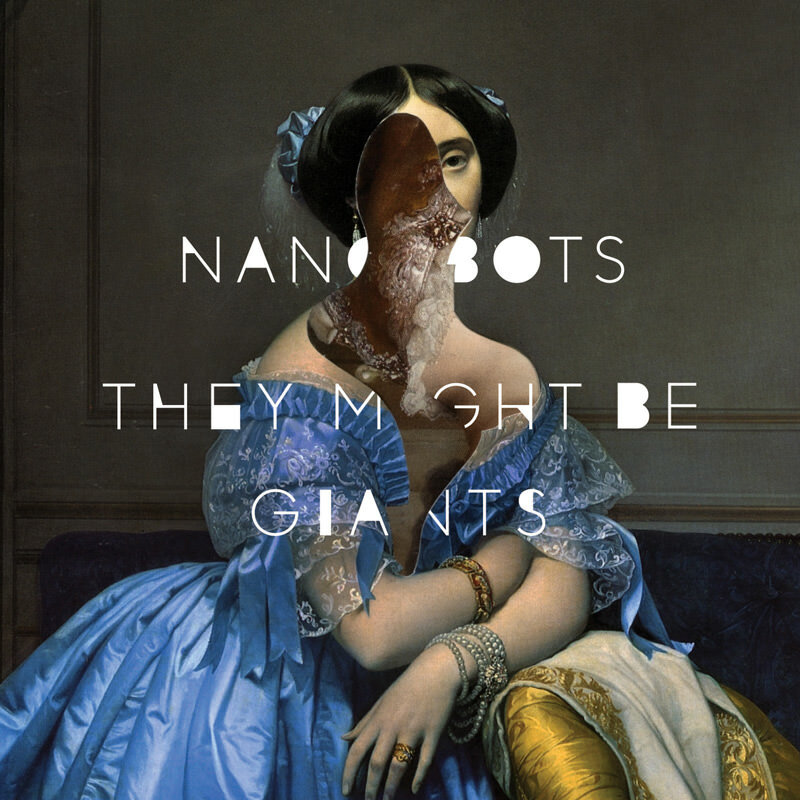 That being said, the album still boasts a variety of three-minute pop gems - "Call You Mom," "Nanobots," "Lost My Mind" - that rank among They Might Be Giants's most instantly catchy tunes. "I like the idea of short songs," says Linnell, "It's just gonna dilute the power of the idea if we make it longer. There's no need to force another verse and chorus if the song doesn't need one. "There isn't necessarily a logical explanation to why Nanobots seemed like such an important title for the entire record, but I like the idea of these tiny things that are designed to do a very specific thing - they can replicate themselves in whatever way they might need to in order to do the required job. 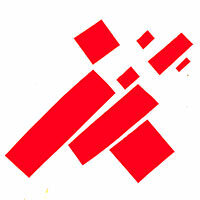 And I like the idea of self-replicating. Humans do that by having children. It's not necessarily a logical process, it's just something that happens. You unleash this force - a child or a microscopic robot - and then it goes out into the world and does it's thing…in a way you can't always control." "We came of age in the time of albums", says Flansburgh, "So we were raised on the notion that songs - when collected together - serve to amplify and support each other when part of a well-considered collection. That's the power of the album. With Nanobots we weren't making a concept album, but it does have a certain power as a kind of song cycle. These short little tiny songs have a purpose and they make sense when surrounded by the longer songs. There's a certain mania to this record, a certain energy you get when you include all these hard working miniatures." 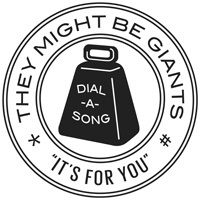 There are few bands currently in operation that can boast a thirty year career, let alone boast a career that includes 16 studio albums - including four beloved albums for children - and a history of embracing emerging technologies (the band's brilliantly curated iPhone app recalls their early "Dial-A-Song" days), but the genius of They Might Be Giants - and perhaps the secret to their success - is that they continue to operate within their own world. 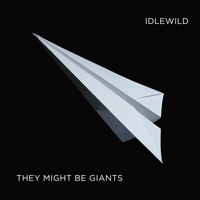 Three decades in, there is still no other band that sounds like them and - even more importantly - very few artists that approach songwriting with the kind of wide-eyed, natural curiosity as They Might Be Giants. Whether they are singing about tiny robots, broken hearts, combustible heads, or ticks, they do it in a vernacular that is uniquely their own.